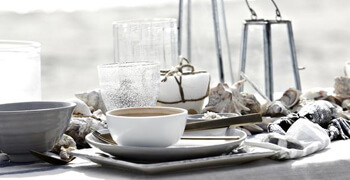 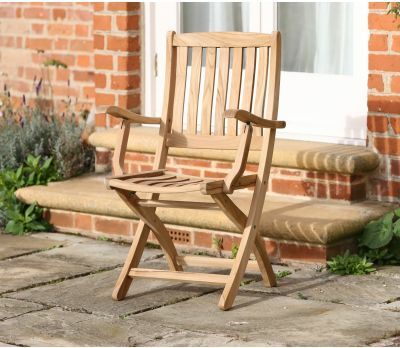 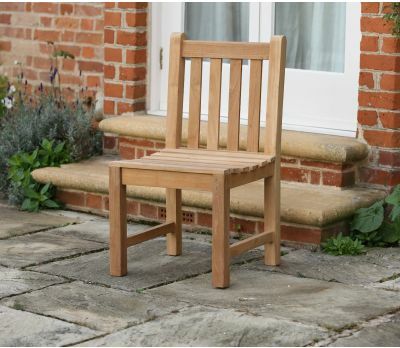 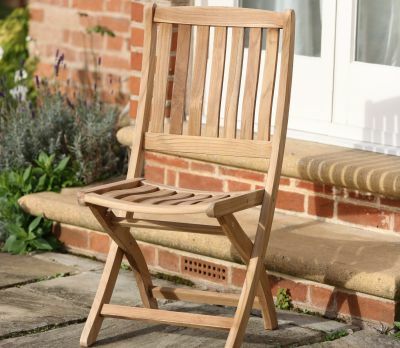 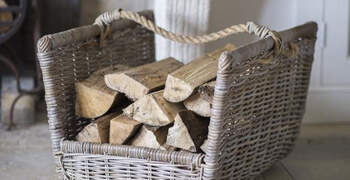 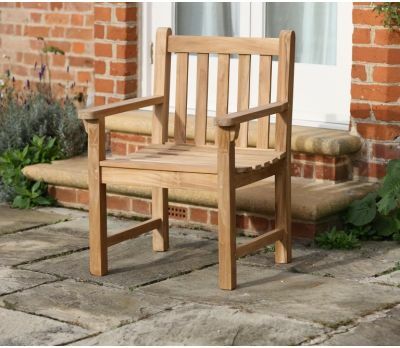 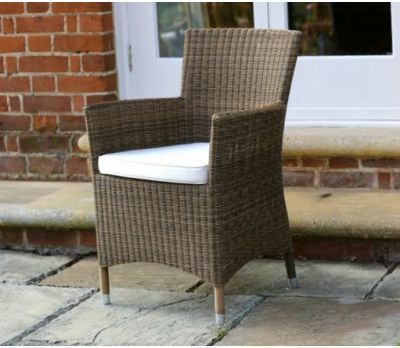 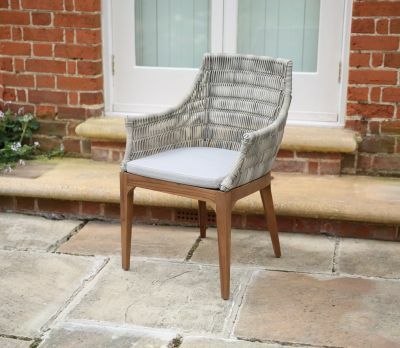 A chair is, undeniably, a pivotal element when it comes to furnishing one’s garden - the wooden teak & wicker furniture chair collection at Jo Alexander when it comes to chairs is as varied as it is exquisite. 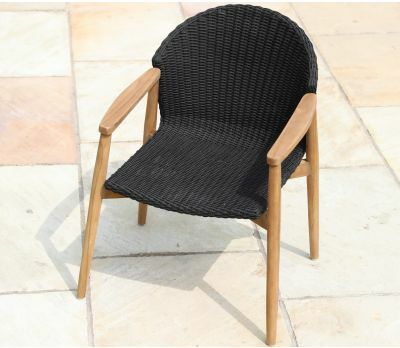 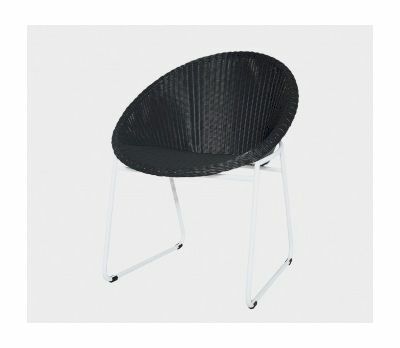 For those in search of easy storage items, our collection includes a rich diversity of garden folding chairs. 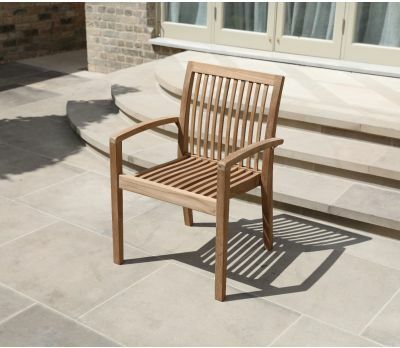 The Sussex chair, a practical and simple option that by no means compromises the classic look; is available with or without armrests. 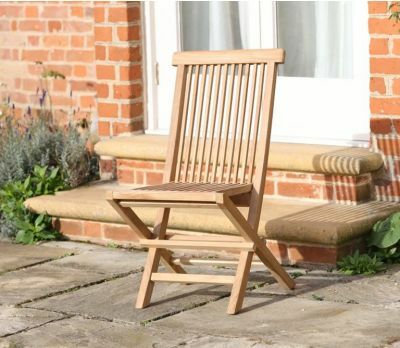 Another of our folding chairs is the Ashton Folding Chair, which features an elegantly curved back and seat for added comfort. 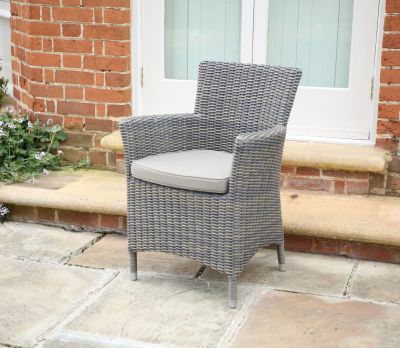 Likewise, our collection includes a model with arms and another without them. 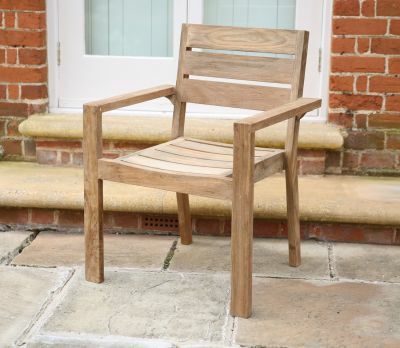 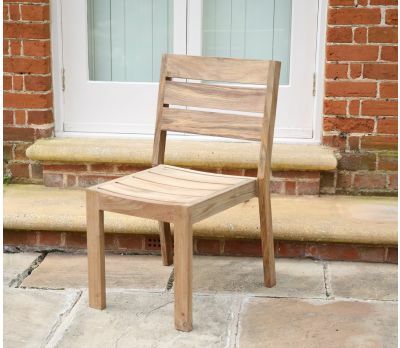 Our most popular stacking chair, the Clement, is unexcelled when paired with one of our fine sanded teak tables, available as either a Chair or Armchair to ensure all-round comfort and relaxation whilst dining. 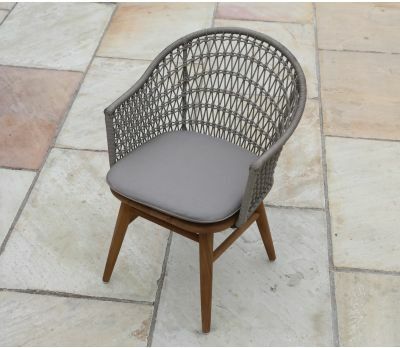 The chair collection is finally completed and complimented with a selection of high quality wicker chairs such as the Florence and Barcelona Armchairs. 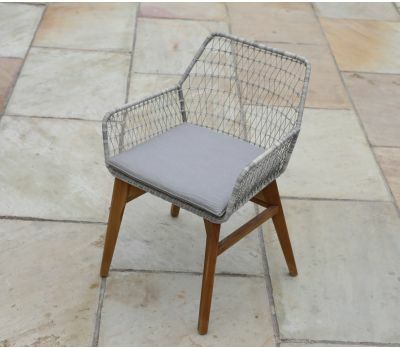 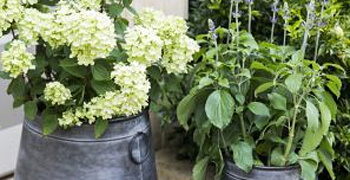 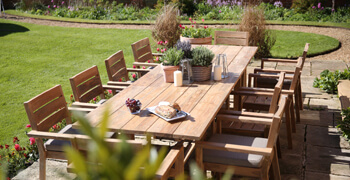 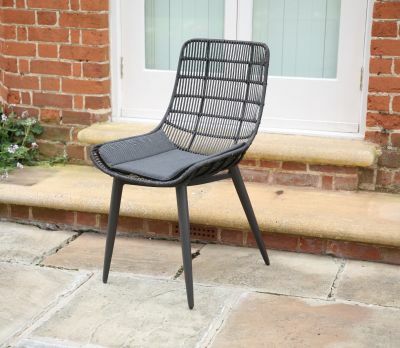 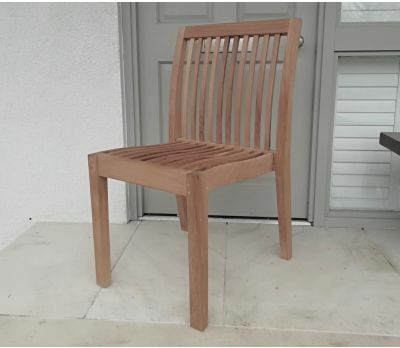 Then, with the recent introduction of our Wicker/Teak chairs, namely the Chelsea, the Campania and the Siena Armchair, we are certainly taking garden furniture into a whole new dimension. 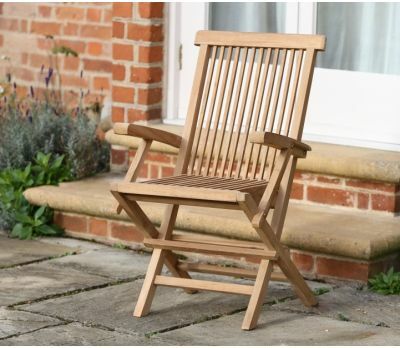 For more information on our garden folding chairs call us on 01954 267857.